Panama! 5 Smartphone Apps You Shouldn't be Without. When it comes to the world of smart phones, the apps just keep on coming. This makes life easier for not only toursists in Panama, but full and part-time residents as well! There are a few apps that I owe a lot to, and I know you will love as well. My number one most used app is Waze. 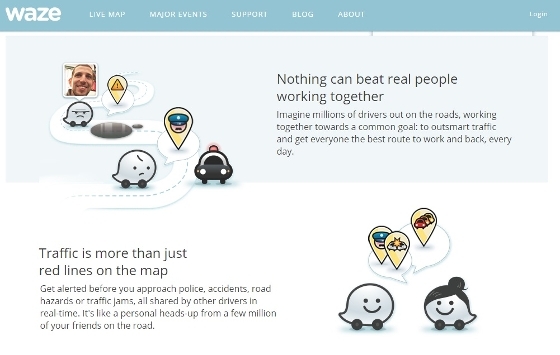 Waze is a navigation/social tool that allows you to check traffic, plan routes, navigate, and check for oncoming traffic problems. In fact, the social aspect of the app not only allows you to communicate with other users, but to warn them of police speed traps, accidents, hazzards, heavy traffic, and bad weather. It has a great map system, and actually allows users to edit the map should they run into a changed or incorrect route. For this reason, the map stays very current, even with road closures, and the hectic pace of construction here in the city. Whether you are new to Panama, a tourist, or have been here for years, this app always has a use while you are driving. Even if you know the route perfectly, Waze can redirect you in the event of a traffic accident, and warn you if you are approaching a radar gun. For you tourists, make sure you have an unlocked phone, pick up a sim card at the airport when you arrive, and boom, you're in business! 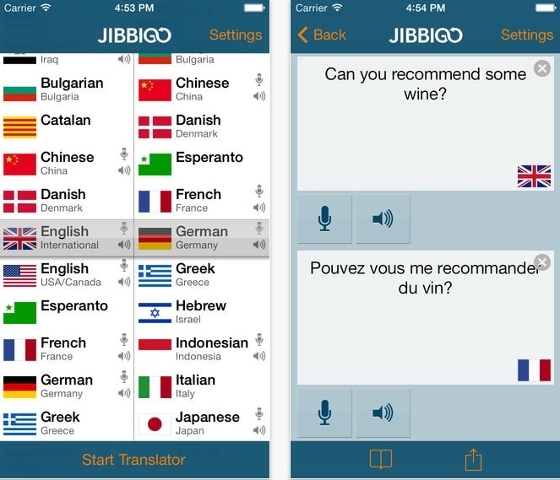 Your all too important voice or text translation app for a country where very little english is spoken. That's right folks, not many people here in Panama speak english, so you can either page through a spanish/english dictionary, or download a translation app. There are a lot to choose from. 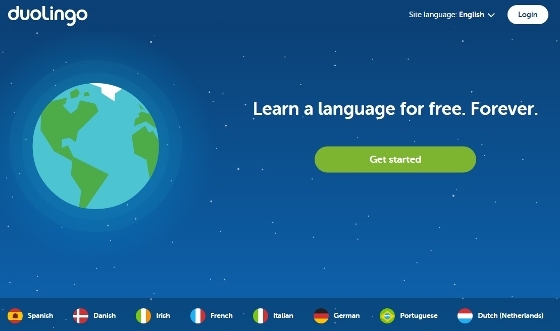 iTranslate, google translate, etc. but they all require live data (internet) connections. Not Jibbago!! The entire dictionary downloads to you phone, and it does a fantastic job. No data, no problem!! WhatsApp is a free texting service that not only outreaches borders, but allows you to share any sort of media and even exchange voice memos. Everyone in Panama uses this app, and I have heard that it is quickly becoming the largest social networking tool out there. WhatsApp is actually very similar to the blackberry messenger system in many ways, where you have a picture, status, and can see when your message has been received and read. One of the greatest features is that as soon as you make a new contact, WhatsApp instantly picks it up, and if your new contact also uses WhatsApp, you instantly become whatsApp contacts. It's more useful in Panama than it may be in North America because the texting packages sold with your telephone here can be expensive, and WhatsApp remains a free app. It also allows you to text and send media free to anyone in the world that also has the app. Not unlike WhatsApp and Waze, this is a bit of social networking mixed in with a useful application. 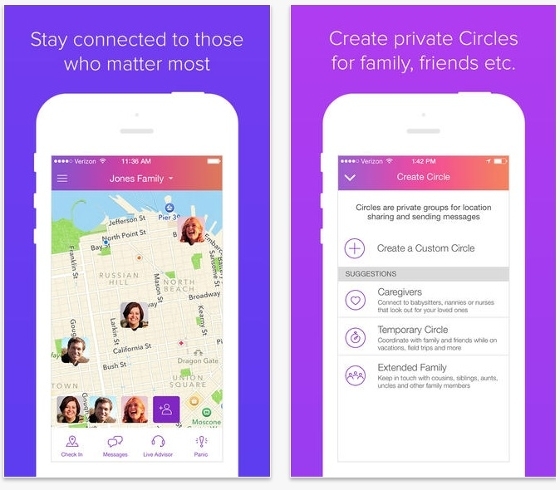 The app offers messaging and the uploading of photos, but also introduces global positioning of your contact's telephone, and panic buttons in case of an emergency. Leaving my family two and a half years ago wasn't easy, but the dream of living in the tropics for me was really compelling. If you are in Panama with me, you can without a doubt relate. It's hard though. I've left everything I knew, and so much that I never thought I would miss, I do. Especially my family. So any piece of technology that I can find to help me feel closer, and help me more easily communicate with them is welcome. That's not all this app is useful for though. Younger and younger families are making the move to Panama. Back home, we feel that we have a close network of neighbors, friends, and family that keeps us all safe. In Panama, we can sometimes feel a little isolated if we haven't learned the language, and if one of the youngsters go missing, or doesn't call home, it would surely be a frustrating experience. I like this app, because I can keep tabs on my offspring, family, and friends, not only in Panama, but in various time zones around the globe. Now get out there and explore! !